On March 26, 2018, Jennifer and Sarah Hart, both 39, drove their SUV off a cliff in Northern California. 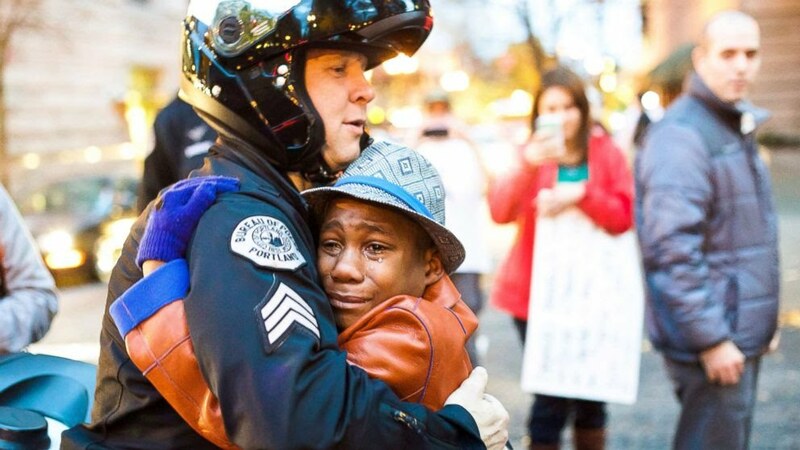 In the car were six of their adopted children, Markis Hart, 19; Jeremiah Hart, 14; Abigail Hart, 14; Hannah Hart; 12-year-old Sierra Hart and 15-year-old Devonte Hart, who is known for a viral photo in which he is hugging a police officer during the Ferguson protests. Devonte’s body was never found. This was a tragedy that could have been avoided. There were countless reports of abuse, which dated back to 2008, and despite 911 calls by neighbors, no one at Child Protective Services took enough action to save the lives of children who were crying out for help. The children were reportedly starved and beaten. The family lived in Woodland, Washington, near Portland, Oregon, and were reportedly on a road trip, though Child Protective Services had been trying to contact them for days. Reportedly, Jennifer Hart was drunk at the time of the crash. In addition, two of the children were drugged with “a significant amount” of diphenhydramine, which is an ingredient found in Benadryl, according to the Associated Press. Sarah Hart reportedly also had diphenhydramine in her system. Authorities believe the two women purposely killed themselves and the children. Their biological mother Sherry Davis, 48, lost custody of her three children, Devonte, Jeremiah and Sierra, because of her addiction to cocaine in 2006. Texas’ Department of Family and Protective Services temporarily placed the children with their aunt, Priscilla Celestine. However, they were taken away from the aunt in December 2006 — even though she had no criminal record, a steady job at a hospital, had raised her own daughter and moved to a bigger house to accommodate the children. Nonetheless, the aunt lost custody because she let the children see their biological mother, which was against court orders (Celestine was called in for work at the last minute and she let the children stay with their mother for a few hours). The kids were soon placed in the hands of their adoptive parents who abused and eventually killed them. Below is the famous photo of Devonte Hart in Ferguson, Missouri. Rest in peace to all of the Hart children.